Mike Doyle is currently serving his thirteenth term in Congress representing the 18th District of Pennsylvania, which includes the City of Pittsburgh and 53 other communities in Allegheny County. His top priorities include creating jobs and revitalizing communities in the 18th District through economic development and high-tech initiatives, reforming health care, providing better public education, and establishing a comprehensive national energy strategy to curb climate change and create green jobs. 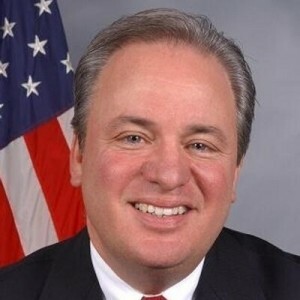 Congressman Doyle serves on the House Energy and Commerce Committee, which is one of only four exclusive committees in the House. There he sits on the subcommittees on: 1) Energy and 2) Communications and Technology. As of January 2019, Congressman Doyle serves as the Chairman of the Communications and Technology Subcommittee. Congressman Doyle has been working aggressively on the Energy and Commerce Committee to address climate change through the development of new, more energy-efficient technology and alternative and renewable sources of energy. He has also been working hard on the Energy and Commerce Committee to restore Net Neutrality and promote the availability of reliable, affordable, high-speed broadband internet service for all Americans. He is also one of the founders and co-chairs of the House Distributed Generation Caucus, which works to promote the widespread adoption of decentralized power generation technology that is both fuel efficient and environmentally friendly and reduces peak demands on our nation’s over-utilized electricity transmission grid – and he is a member of the House Hydrogen and Fuel Cell Caucus, which promotes hydrogen and fuel cells. Congressman Doyle also co-founded and chairs the House Robotics Caucus, which works to ensure that our nation remains globally competitive in the field of robotics. He is a member of the Leadership Pittsburgh Alumni Organization, the Ancient Order of Hibernians (AOH), the Italian Sons and Daughters of America (ISDA), and the Penn State Alumni Association. Doyle is a graduate of Penn State University, where he received a Bachelor of Science degree in Community Development in 1975. Prior to serving in Congress, Doyle was a small business owner and the Chief of Staff for State Senator Frank Pecora. Doyle and his wife, Susan, reside in Forest Hills and have four children: Michael, David, Kevin, and Alexandra.